Turf diseases are now hitting earlier and more aggressively than ever before; global warming, changing weather patterns and increased demands placed on playing surfaces all impact on the health and vigour of turf. 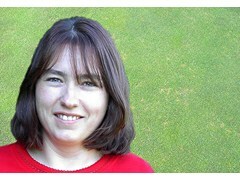 Now Syngenta GreenCast - www.greencast.co.uk - will give turf managers up to date information on what is happening and what to look out for, with independent advice from STRI turf pathologist, Dr Ruth Mann. The GreenCast Tech Notes will include Dr Mann's full plan of Integrated Turf Management to redress topical issues and concerns facing turf managers. The first issue highlights impending problems with Dollar Spot, and includes advice on mowing, fertility, irrigation and fungicide use to mitigate the increasing problem. Future Tech Notes, which will appear regularly through the season, will cover topical disease risks - including Anthracnose, Fusarium, Take-All and Fairy Rings - along with turf care advice to help avoid diseases before they cause visible effects to spoil the playing surface. The Tech Notes web page includes quick and easy links to enable turf managers to view specific disease forecasts or their own individual site, as well as pictures and information to identify disease and assess potential damage. Commenting on the launch of Tech Notes, Dr Ruth Mann said: "Improved forecasting of disease risk can help turf managers make better informed and pro-active decisions on fungicide application timing - with the opportunity to improve control." Her research has demonstrated well timed applications of Heritage according to GreenCast disease risk forecasting can achieve better control of disease from fewer applications, compared to routine spraying. GreenCast Tech Notes are available free to all turf managers as part of the interactive decision support tool - www.greencast.co.uk The web site currently features a free no-obligation introductory offer to enable all turf managers to use the full GreenCast Select services, by simply registering on the site.